It seems a perfectly sane time in the world to be talking about future plans, promises and introducing a few changes…yes? haha! One of the things I wanted to do with the survey was to put forward a few of the ideas and suggestions I have received from you over the last wee while and gauge opinion on them. You may remember that my word for 2016 is momentum and it was with that in mind that I set out some of your suggestions. I was very glad that lots of you shared my feelings about FB, but – ever the two sides of the coin gal – I also felt that certain comments were overlooking how others view the KB community. | It would be sad for me personally if some the KnitBritish content and community moved over to FB because I would almost certainly engage less as a result. | Please no separate Facebook page. I’m not on FB, and I hate it when groups become splintered. Firstly, I would never use FB again as a personal account and therefore would not be “sociable” on it. Any KB FB page would be a place posts from this website would automatically appear (like how they appear on twitter when I publish a post). Secondly, It is easy to think that the KB podcast and community exists in which ever platform you chose to engage in, but I do like to remind people that there are lots of listeners who aren’t on Ravelry, so aren’t in the group there; there are lots of people who tweet and IG about KB who are self confessed lurkers in the group. By that standard there could also be people who only use FB and would like a little KB hitching post there too. So I would suggest that IF i did decide to open a page on FB it could happily co-exist along with the others. The only difference is I would moderate it in virtual silence. This is still a “I don’t know” though, as far as I am concerned. Hurrah! This is a much happier topic for me! I love the idea. Being the host of the Podcast Lounge, at Edinburgh Yarn Festival, has been awesome and continues to be so. As well as host a lovely area for all you podcast lovers and EYF goers to sit, chat, knit and also take part in our short sessions, I have also been able to bring my love for British wool into the mix. 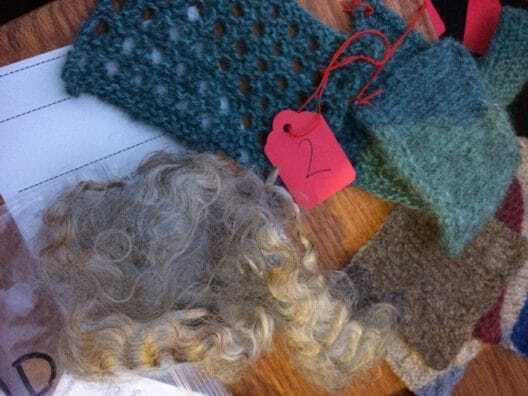 The last two years there have been very well attended sessions featuring British wool tastings. I’ve been asked a few times since if I would consider taking these informal sessions to LYS and knit groups or developing workshops out of them. The answer is YES! To further spread the good word about British wool and the unique textures of our local yarns? Oh yes! If you are interested in this and want some details then do get in touch via the contact page. Watch out for some date announcements soon, including The Scottish Small Holder Festival in September. | Features about different breeds of sheep and their history. I have so much to learn! | It would be good to have some sort of directory of British wools – including reviews from users. Another website lists suppliers but it’s a bit long winded to try and find what you need. Lots of you are interested in having downloadable PDFs of breed specific yarn reviews! When I launched the Breed Swatch along last year I stated back then that I intended to collate all of our data to provide handy general reviews, which would be of real value to people who are thinking about using breed yarn for the first time but don’t quite know where to start or which wools will suit them best. I was thinking about the best way to present this info and there is already work being undertaken on an exciting platform for that. I am saying no more at the moment, but there is a lot of work behind the scenes on that. I am also trying to find a helpful way to list stockists I mention on KB, but that is not quite as easy as it sounds. 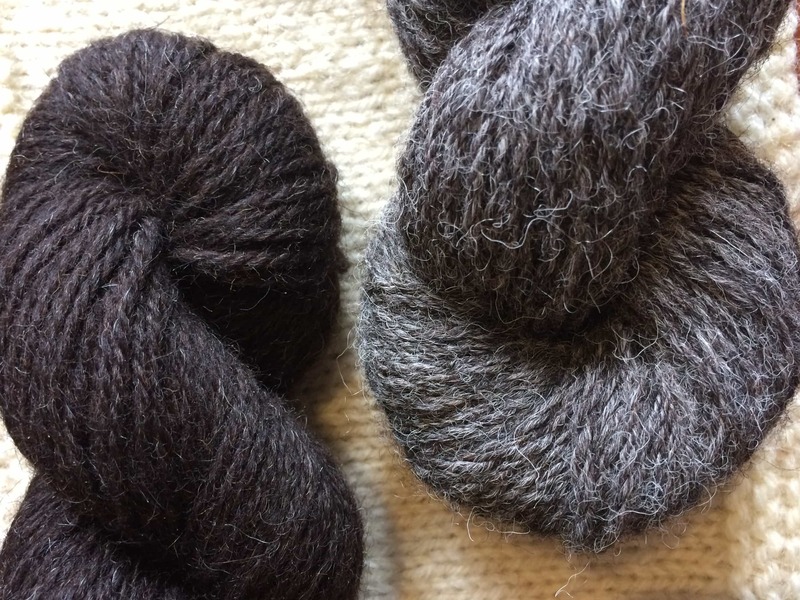 There is the awesome WOOLSACK database and yes, it is long as it is – hands down – the most important resource you have for seeking out British wool stockists. I don’t want a list over on KB to get long and unweildy and a pest to read and I also don’t want to have to create a lot of work for myself re-checking links work (sorrynotsorry). That said, I do want to offer something and so that is another future thing! | I do understand making some $$$ off of your efforts[…]This done professionally and tactfully could be a benefit to you. 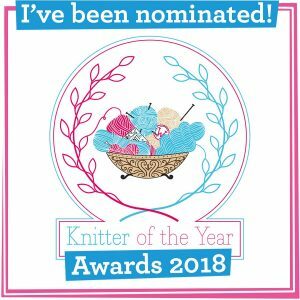 | I have ticked tip jar/Pay pal donation as I think there should be some way of supporting the effort you put into KnitBritish but I would like to see other options. | How can I support this great thing you give us? Alongside queries about a facebook page, the other thing I get asked about frequently is how you can support the podcast. This is perhaps the thing that touches me most. I truly appreciate that so much. I kind of approached this in episode 60 – things like Patreon are just not for me or this podcast. It works for other people, but I would like to continue doing the podcast I love making (and you, evidently, enjoy hearing) without having to promise and carry out a whole lot of other sh….stuff for your regular contribution of your hard earned money! I have no intention on making an nice little income for myself out of the podcast, but there are costs associated, as I talk about in that episode. There are things like Tip Jar facilities and donate buttons and also having affiliates. I am not sure what I think about these, but I am looking at them all. Currently though, I am working on a plan that will enable you, dear listeners, if you so wish, to sponsor an episode of the KnitBritish Podcast. This has grown from a suggestion from a dear supporter of KB and I really love the idea. The KnitBritish community means such a great deal to me and what I do. I always want to put that at the heart of the podcast and this would just make that even more special. More on this soon, but there will be a limited number of spots. I am also looking at some merchandise to brand for you too and…well….there is an exciting collaboration or two up knitted sleeves at the moment! | I’d love to hear about the favourite British yarns/ sheep breeds of your guests or other woolly people you are in contact with. 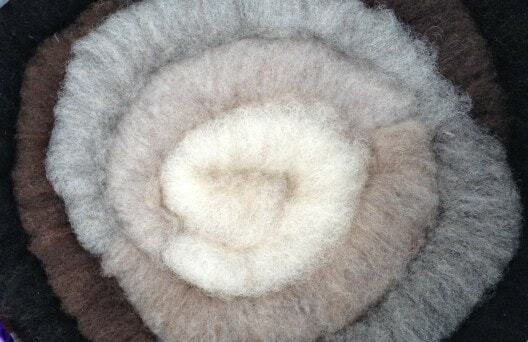 | info about sheep, wool, producers, mills, dyers is great! | How do you know what you are buying really is British? In the early days someone called what I do at KnitBritish a “campaign” and I said no, no! But, dammit!, it can be! (though I think there are better words than campaign). 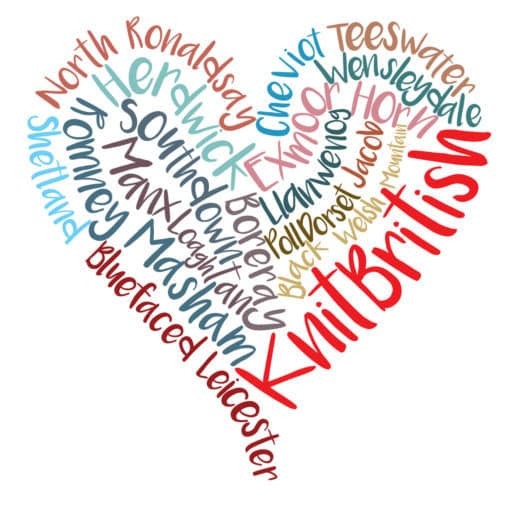 The KnitBritish community has become a place where more and more of us are challenging ourselves to seek out local. With that comes lots of questions – where is my yarn from? Which sheep? Which part of the country? Where was it spun? Is it 100% wool? What does “made in the UK” actually mean on my label?…..For all the questions we can answer there are still a lot which are not clear. This spring I saw a wool company, who I know use a blend of fibre which contains British wool and fibres from other countries, describe their yarn as “British wool”. Is it fair to call it that, even though it was only spun in Britain? If that label was clear in the fibre content I would have still bought it, but I would have made an informed decision based on facts. I was urged to write to them right away and when I receive a reply I will discuss it further here. Recently a British knitting magazine referred to a yarn company’s merino yarn as British. The company may indeed be in the UK, but the fibre in that yarn is not. Again I felt the rallying call to do something about that. I never EVER claim to be an expert on any thing I feature. Knitting British is a constant learning cure, there is always more to find out and discover, but I do think that KB could try and tackle some of these myths, muddy waters and inconsistencies so that the British wool buying public can make those informed choices. I intend to start a letter writing campaign, of sorts, to address issues such as those set out above (They are absolutely not unique). I am under no illusions that this will change the woolly world, but it is a start. If there is something you’d like to discuss, drop me a line via the contact page. This is something which I would like to particularly feature on the blog. I always feel like I am saying “more soon” and “I am working on it behind the scenes” – and I am! I guess I am keeping things a little close to my chest in case they don’t pan out as I hoped. I am just one person and KnitBritish is more to me than a business opportunity and it’s no flybynight operation either. I set out to KnitBritish for a year and that was in 2012. I am 100% immersed in it and devoted to it and so you will forgive me if I don’t blurt out all the exciting egg shaped things before they hatch. I want to make sure they are good for all of us. However I hope that has shed a little light on some exciting things and there is more than just a little momentum in these plans – some need more planning and will be coming in the future and some will be here sooner than your think! Thank you SO much again for taking part in that survey. Thank you for all the people who sent me reams of suggestions, or a line about what you enjoy least and most and thank you to all the people who sent me comments like this (indulge me whilst I share!) and totally affirmed to me why I love doing what I do. I really love all that you do. Thank you. I think you do more than enough – it must be a full time job already – and anything extra you offer would be a bonus. It sounds corny to say that I REALLY like it all and don’t have a burning desire for changes. I love the variety and that there isn’t a set format and standard question when you interview people. Keep up the good work! It is your podcast (and your time) – don’t feel you have to keep on giving us more. [KnitBritish] It’s perfect the way it is. Keep doing what you do it’s just great! You’ve got it all very well sorted, I think! Just don’t stop doing it as I listen to it in the car and it makes me really calm! I enjoy it all, Louise. Even though I live in country Victoria, in Australia, I love the feeling that I am close to a wide group of people with the same interests as mine. I too want to say THANKYOU for all your hard work. Your podcast is inspiring. I was so pleased to read how someone felt the podcast was too northern biased! I agree and am so pleased it is! Such a change and so welcome! Hope to see you at Edinburgh next year as your podcast has made me want to go so much! All this sounds very exciting! The Scottish Smallholder Festival sounds interesting, but what a shame it’s the same weekend as Yarndale. I’m not sure I can go to both. I look forward to hearing about meet-ups/LYS visits. I’m so glad I’m not the only one who isn’t a Facebook fan. Please just carry on as you are so that those of us who wouldn’t use it won’t feel ‘left out’. I’d never listened to a podcast before discovering yours quite recently. I’ve since been working my way through your archives and have been on such a wonderful journey into British wool in all its diversity. Thank you so much for all your hard work and great enthusiasm- it truly is infectious and I’m glad to have “caught” it too. Louise, I am with you. I think FaceBook is a total waste of time. Hi Louise, I found you on IG. 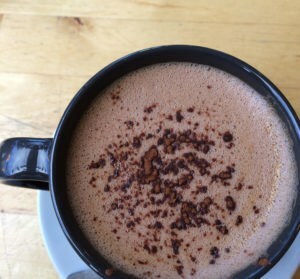 (Stitchandtime)! So many of your thoughts ring true to me! I wrote my MA dissertation about wool as a sustainable material in art and design practises. For me British/ local wool is as important as my local grown food! Thank you for all your hard work and research!